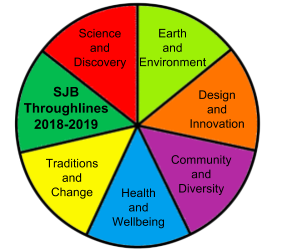 Over the course of the year, students at St John Bosco’s undertake Inquiries that explore big ideas or concepts referred to as “throughlines”. 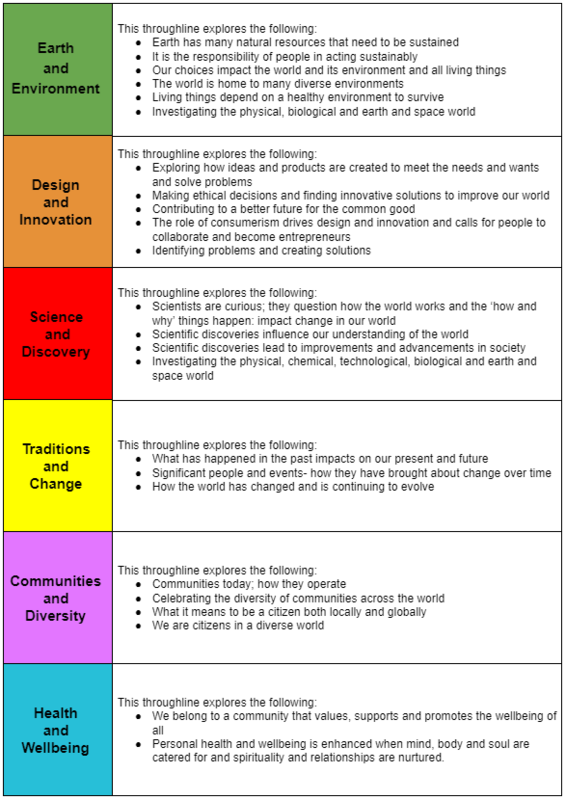 These throughlines incorporate different curriculum areas and are designed to be built upon as students move through their primary schooling. In the Prep-2 years, students work on short and sharp units to maintain engagement with hands on learning that is developmentally appropriate. As they move through the middle and senior years they explore and examine richer content and focus on developing their skills as Inquirers through different Inquiry processes (Research, Design, Science, Problem Solving and Field of Study process). Each Inquiry is guided by a Rich Question and several contributing questions. These questions direct the learning experiences of the class and any independent learning that students may undertake. An Inquiry unit will typically begin with Immersion experiences, which can include excursions, incursions or rich experiences provided at school, all of which are designed to spark student interest and to get them excited about the upcoming learning. Teachers then spend time building student knowledge about key facts, ideas and concepts as well as develop their skills as researchers, problem solvers and designers. Students will then either choose an area for further investigation, by developing their own question to answer, or are given a choice in the way they undertake and present their learning, based on a task that has been outlined by the teacher.